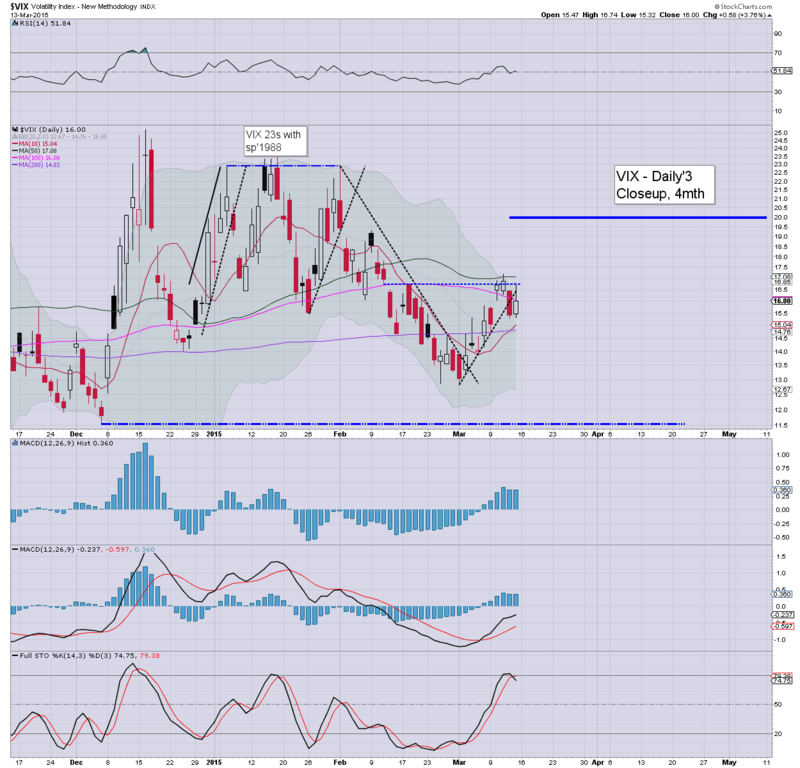 With equities utterly failing to see upside follow through, the VIX battled higher (if moderately), settling +3.8% @ 16.00. Near term outlook is mixed, with threat of the sp'2070s, before a likely down wave to the sp'2010/00 zone.. where the 200dma is lurking. *across the week, the VIX gained a moderate 5.3%. Suffice to say... despite some major down days across the last few weeks, VIX remains relatively subdued. 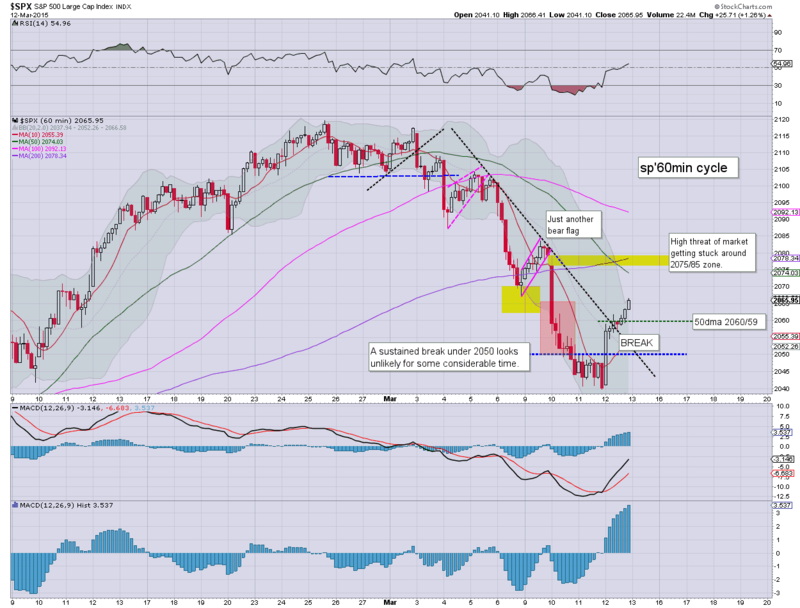 The big 20 threshold looks out of range in the immediate term. However, if sp' loses the sp'2039 low (after a probable rally to the 2070s), the VIX will likely break into the 20/25 zone. Weekly MACD (blue bar histogram) cycle has a potential bullish cross by the end of next week, and if so.. that would offer 25/30 in the last week of March. US equities closed moderately lower, sp -12pts @ 2053 (intra low 2041). The two leaders - Trans/R2K, settled lower by -0.7% and -0.4% respectively. Near term outlook is very mixed, with threat of a move to the sp'2070s, but regardless.. renewed downside to sp'2010/00 zone looks probable. *a short-stop cascade into the close.. which will no doubt have annoyed many of the bears. Get some rest... because next week is set to be pretty wild! US equities remain significantly weak, with the threat of a key break of the sp'2039 low.. along with a weekly VIX close in the 17s. However, regardless of the close... it has been another week for bears, with a third consecutive net weekly decline for the sp'500. *it is kinda surprising to note that we are set for a third net weekly decline. The weekly candles are HIGHLY suggestive that sp'2000 will be hit.. whether from a straight move.. or via a bounce into the 2070s. So... Oil settles the week in the $44s.... dire. The $43 low is not going to hold.. is it? In which case... energy stocks are going to get trashed... and that will take down the rest of the market with it. The really interesting aspect to all this... the March monthly close could be truly stinky... which will open the door to much more 'interesting things'. 3.30pm... Market attempting a late day mini ramp.. .but it won't be able to stop a net weekly decline. Any move to 2070 looks like the easiest re-short level for some considerable time. Price action though does not support the broader bullish case next week.. from a purely technical perspective..the damage has been done. 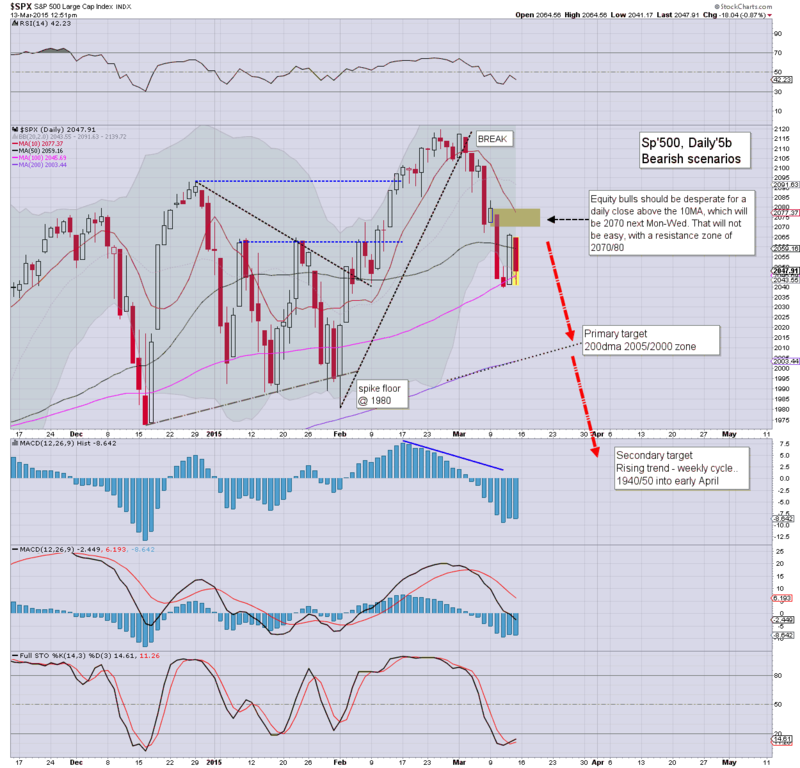 US equities are holding significant declines of around -1% in the mid sp'2040s. VIX is higher by 6% in the mid 16s. 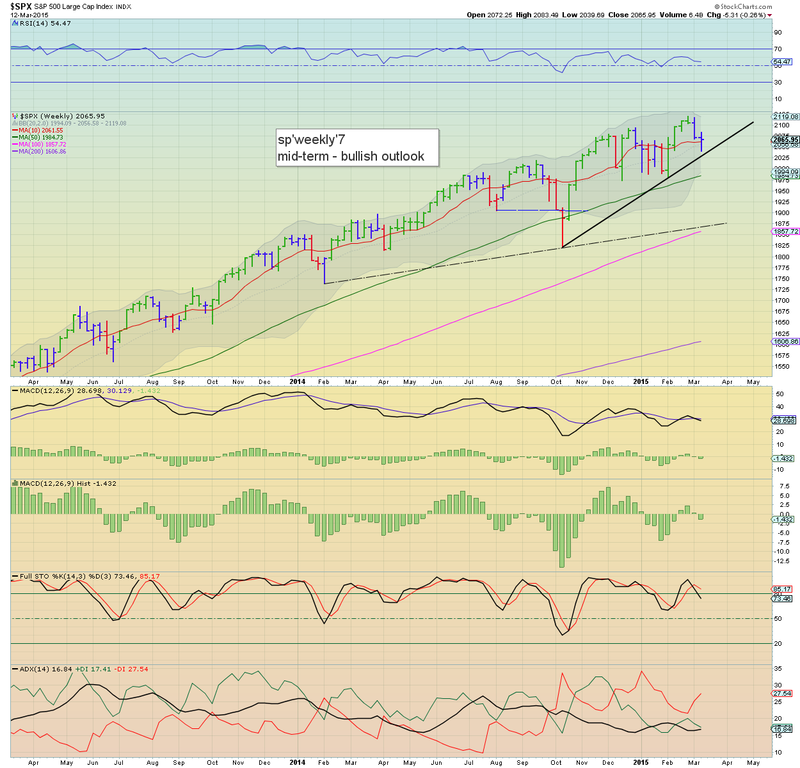 The weekly close is a tricky one to call, with a viable break of 2039.. but with similarly viable upside to 2070 next week. Regardless of the exact close, it has been a week for the bears. Suffice to say... hourly candles are suggestive of a floor... but I have low confidence right now that 2039 will hold before the close. In any case... even if market can rally another wave higher.. it will VERY likely get stuck in the 2070s.. and then roll lower to the 200dma. US equities remain broadly weak, with significant declines across most indexes. Even if the sp'2039 low holds into the weekly close, the total fail of the Thursday bull flag is a serious problem for the bull maniacs. Any rally to the 2070s next week will make for a rather obvious level to short from. Oil remains weak, -3.6%. *new chart above... with two key downside targets. If we get stuck in the 2070s next Mon-Wed.... with another failure to keep pushing higher.. then weakness to at least sp'2k looks probable. This looks increasingly likely as Oil is set to lose the $43 low... and that will cause absolute carnage in energy stocks.. and drag the main market lower. 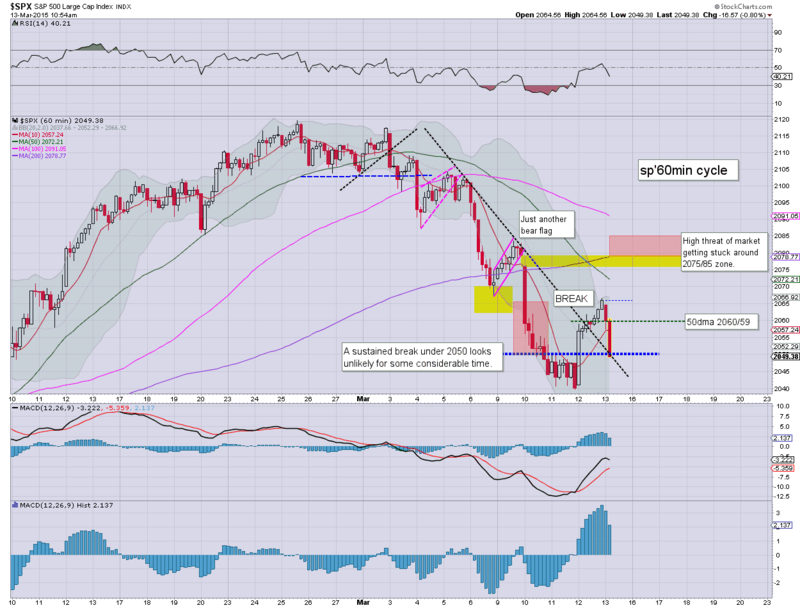 US equities have surprisingly unravelled, with a complete fail of the bullish F flag. The sp'2039 low now looks likely to fail.. next level is 2022/20.. which should equate to VIX making a break into the 17s. Metals remain weak, Gold u/c. Oil remains under severe pressure, -3.3% in the $45s. *Dow -253pts..., with IBM -2.5%... greatly impacting the Dow. XOM and CVX are also a major problem.. in danger of losing key support. It has been a real mess of a morning... opening decline.. minor whipsaw up.... but then a MAJOR fail.. into the low 2040s. The 2039 low looks set to fail... which would offer a rather nasty net daily decline... as low as the 2020s. Even if 2039 does not fail in this down wave... it would still bode for renewed downside next week.. from the 2075 level. 12.28pm... sp'2046... vainly trying to make a floor, but as things are.. the weekly cycles are set to close the week bearish.. which sure doesn't bode well for next week. US equities have seen a moderate wave lower to sp'2048... with the VIX +5% to the low 16s. In the scheme of things... a rather natural retrace of the Thursday move. 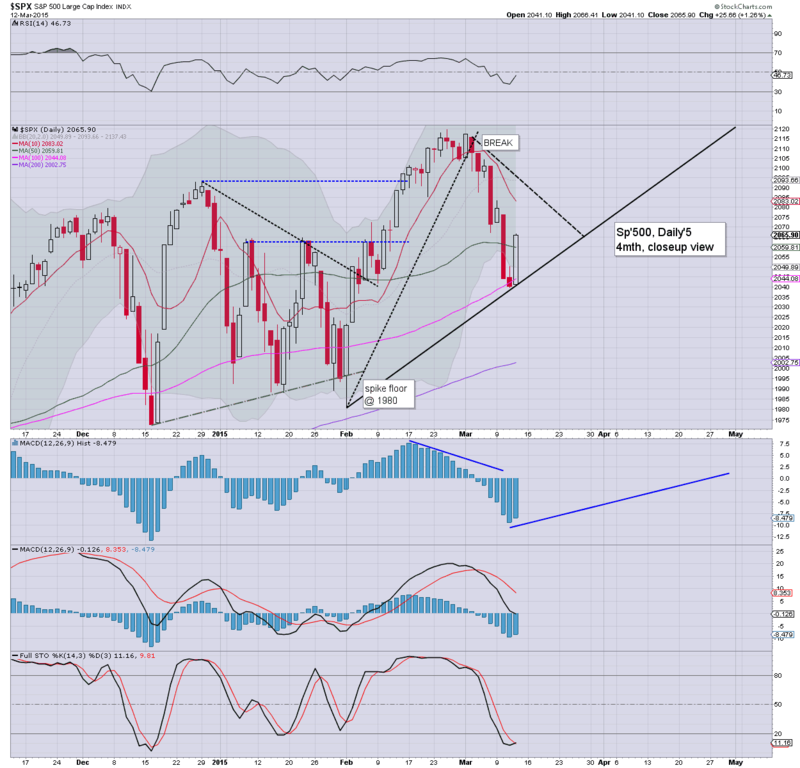 Market looks set to turn back upward, with a weekly close in the sp'2070s still very viable. Metals remain weak, Gold +$1, whilst Oil -3.3% in the $45s. *the drop in Oil prices is causing some real problems, esp' in the Dow, with CVX and XOM in trouble of breaking key support levels. I realise a fair few bears will be getting overly excited about this mornings weakness, but really.. price structure does not particularly support a net daily decline. We have a long afternoon yet ahead! Oil/gas drillers, RIG -3.5%, SDRL -5.5%... the carnage from last summer... continues. Here is something.. even if we do rally to 2075/85.... it is increasingly looking like another wave lower to sp'2k is very probable... after next Wednesday's FOMC. So.. best guess remains.. 2075/85.... and then a bigger rollover. 11.17am... Without question.. a clear FAIL of the bullish F flag... although we still look headed for 2075/85.. but clearly.. that is more likely next Mon/Tue. Price action is a problem for the bulls. 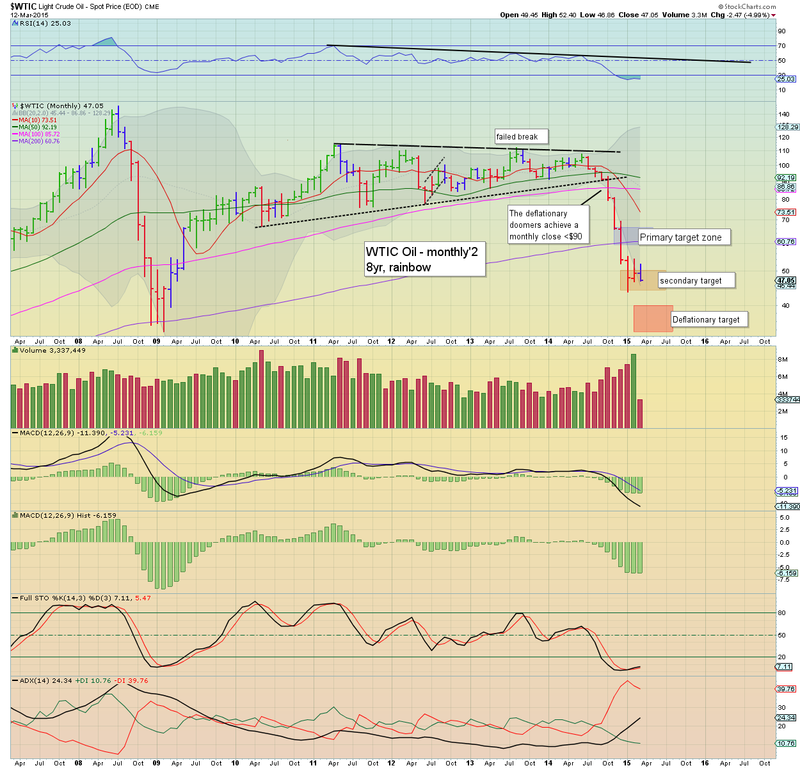 .and with this mornings FAIL... it bodes for a rollover next week.. . down to sp'2000. 11.27am... Well.. if we break a new cycle low <2039... it'd make for one of the biggest market FAILS we've seen in a very long time. Oil remains exceptionally weak, -3.3%.. but still a clear $2 above the critical $43 low. 11.34am.. Major fail... sp'2042.... a new cycle low looks due. After 2039.. next level is the gap zone around 2022. 11.48am... Sure looks stinky.... market is getting increasingly upset with the Euro and Oil. The only thing missing right now are VIX 17s. US equities open a little lower, but market is already showing many signs that this was just a little washout ahead of a move to the sp'2075/85 zone. 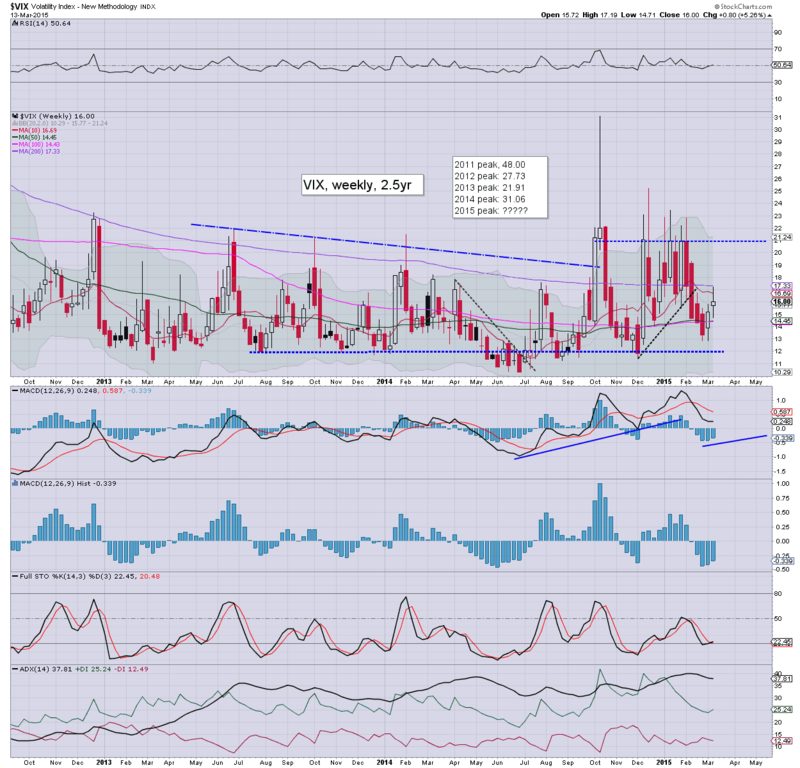 VIX is similarly reversing, with an early black-fail candle, set to turn negative. Metals are bouncing, Gold +$5. *black-fail candle on the VIX... bears... beware! A rather amusing open... no doubt some bulls are getting washed out.... but within minutes... the market is already starting rebound. 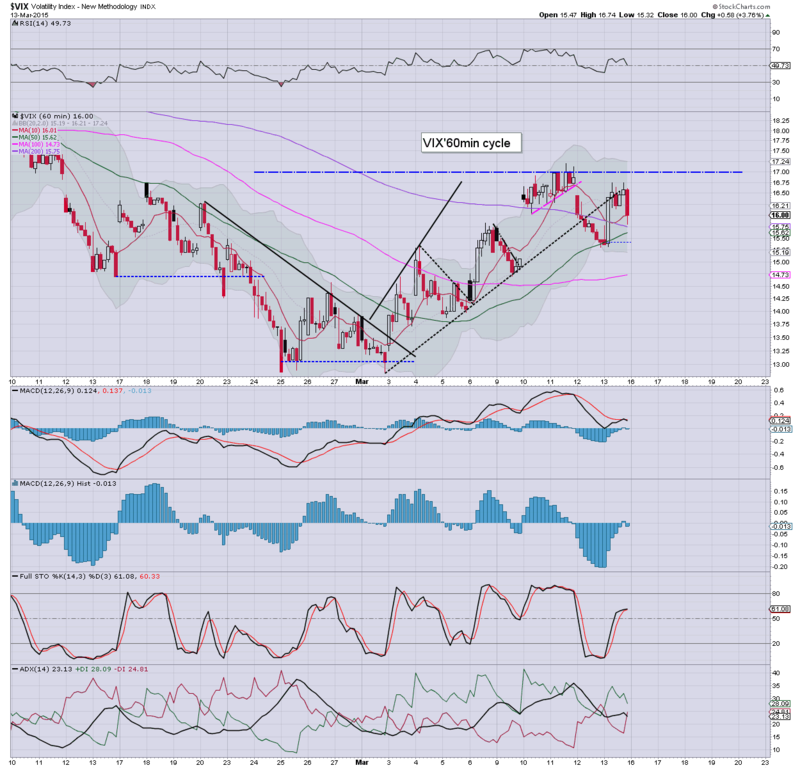 A move into the 2075/85 looks VERY viable today... along with VIX 14s. 10.28am.. Hmmm.... energy is causing problems.. not least in the Dow, with CVX and XOM dragging the smaller names lower. VIX is higher.. but still... only moderate gains. Unless we go <2045.... the breakout from yesterday is STILL holding. 10.31am.. 50% fib retrace is sp'2052... high chance of flooring around here... not least with typical turn time of 11am... fast approaching. 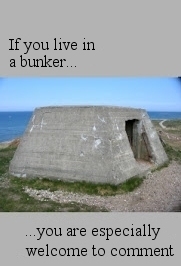 .. and no.. I don't think Oil will break the key floor of $43 today... or next Mon/Tuesday. Good morning. Futures are moderately lower, sp -6pts, we're set to open at 2059. Metals are a little higher, Gold +$3. Oil remains broadly weak, -1.7%, having fallen into the $45s. Equities look set to resume higher later in the day. So... a touch of weakness to start the day, but I would strongly believe the market will be able to turn around by late morning, and rally into the weekly close. Price structure is very bullish, and it makes little sense for a new cycle low to occur.. at least before a move into the 2075/85 zone. The two usual concerns remain... stronger dollar... and weaker Oil. Indeed, as I highlighted in the previous post... Oil could lose the $43 low... and that would be a real problem to energy stocks and the broader market. Notable early weakness: SDRL -3.0% @ $9.39... no doubt oil prices are causing the problems. 8.31am. PPI -0.5%.... hmm... mr deflation perhaps? Metals weaken... gold back to flat. 9.07am Pretty subdued pre-market.. sp -4pts... 2061.... Metals, Gold +$4... but set for another negative week. 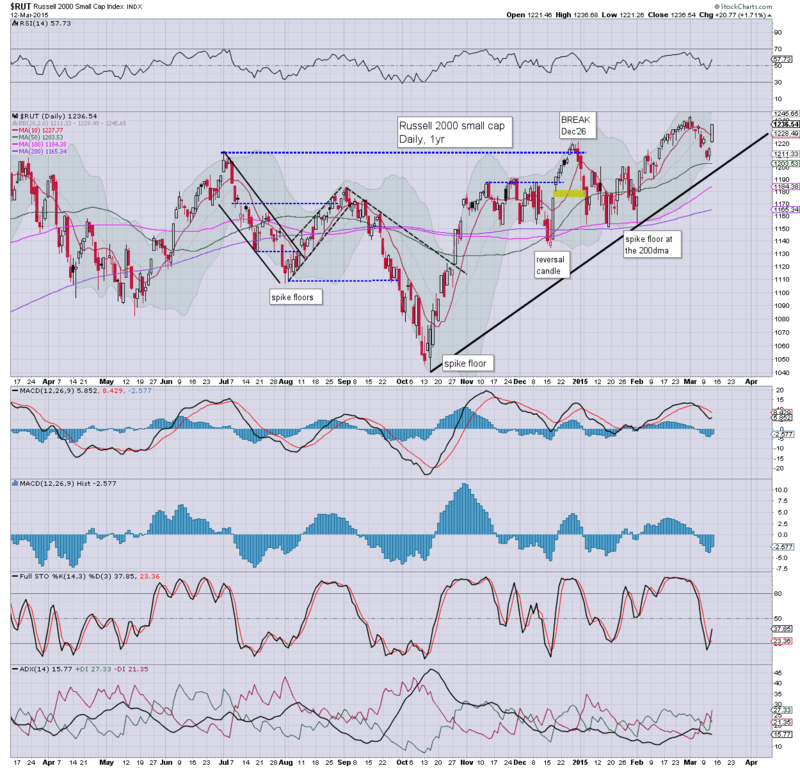 US equities saw a day of significant gains, and look set for further gains into the weekly close. With the Yellen set to be playing more word games of 'patience' next Wednesday, if the market gets upset.. there is a serious threat of renewed downside to the 200dma.. around sp'2k. *more so than the net daily equity gains, we have a notable flip in the weekly 'rainbow' candle from red to blue. Even if we close the week blue though... it will still make for a continued moderate warning to the bulls for the second half of March. So... we're back above the daily 10MA of sp'2059, and now the issue is whether the new up wave results in a lower high... or just proceeds straight up. Best guess? I'm getting highly suspicious that the market will get stuck around 2075/80, see some chop across Mon-Tuesday... and then begin a new down wave next Wed/Thursday. If correct.. first downside target is sp'2000. Absolute 'best case' for doomer bears will be the broader rising trend... which by end March will be around sp'1940 or so. In addition to threat of Yellen upsetting the market, there are a number of other reasons why stronger downside is viable.. not least of which are weak oil prices. Thursday saw a net daily decline of -2.8% to $47.05, which is now making for a net monthly decline of around -5%. The monthly 'rainbow' candle is now in danger of turning back to red.. and if the $43.58 low is taken out... it would cause absolute havoc in energy stocks.. along with some broader market upset. If $43 fails to hold - whether in March or April... then next target zone is $35/30. 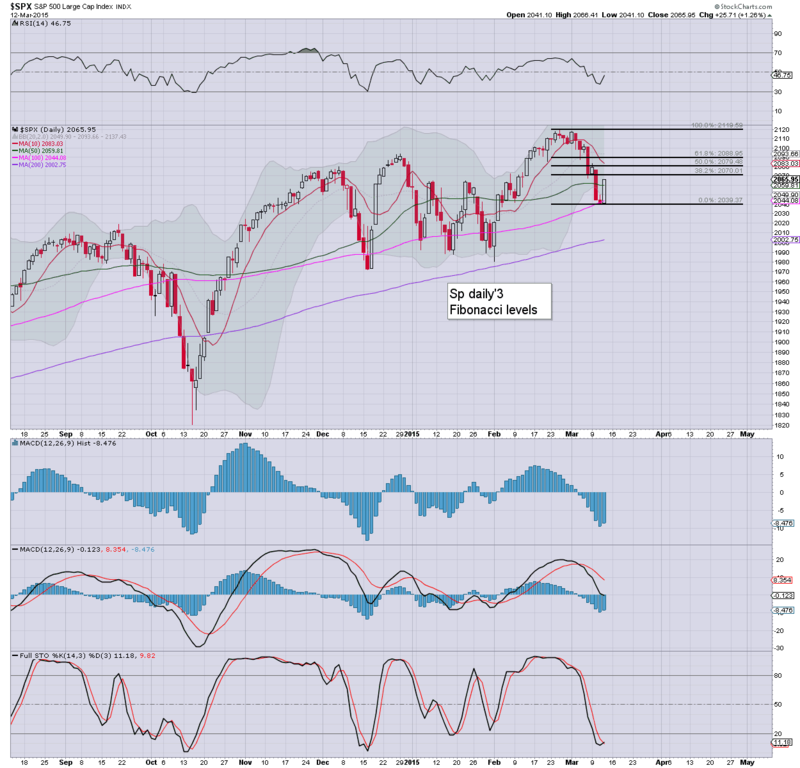 Such a renewed push lower would certainly help whack the market down to sp'2k.. if not 'briefly' into the mid 1900s. 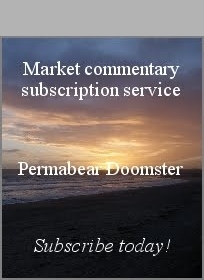 Friday will see PPI and consumer sentiment data. *powerful gains for the R2K/Trans... which were leading the way yesterday. Market looks set for further gains tomorrow.. but will likely get stuck around sp'2075/80. A break into the 2100s will be out of range if market gets even remotely annoyed with what Yellen says next Wednesday.